Care for the sick, suffering and dying is an area in need of “the courage to swim against the tide” and for development of “a language of mercy.” In February 2015, the Supreme Court of Canada decriminalized medically assisted death, including assisted suicide and euthanasia. In June 2016 with passage of Bill C-14, these practices became legal in Canada. History demonstrates the role of the corruption of language in this decision; lack of shared vocabulary on a good death ; misunderstanding of palliative care; and the need to develop a responsive and credible “language of mercy” today. It calls for Christians to “have the courage to swim against the tide” of the medicalization of human suffering and death. Meaningful dialogue requires a shared vocabulary, but corruption of language has been a characteristic of the inexorable movement toward medically assisted death. Initially, the term “mercy killing” was used; to recognizing that this was the intentional ending of life, but justifying it by merciful motivation. That language was rapidly replaced by the “right to die”, meaning the right to control the circumstances of death. These rights have dominated the issue since the 1993 Supreme Court decision in the case of Sue Rodriguez. In 2012, the British Columbia Supreme Court ruled in favour of plaintiffs Gloria Taylor and Kay Carter citing violations of the Canadian Charter of Rights and Freedoms in limiting their right to assisted death. This was upheld in the 2015 decision and later regulated by Bill C-14 Medical Aid in Dying (MAID). Euthanasia, a good death, becomes one that is controlled by the individual and requires assistance from others. Once again, language is manipulated. Assisted death now becomes “medical aid in dying.” Medical aid in the process of dying is precisely what good medical and nursing care have done for centuries. It is what hospice and palliative care provide in contemporary health care. Deep misunderstandings of palliative care have been regularly revealed in the assisted death debate. Some see palliative care as a death sentence. Others fear abandonment when palliative care is presented as “there is nothing else we can do.” Many fear that if we speak of palliative care, the seriously ill or dying person will lose hope. It has even been suggested to change the name of palliative care because so many don’t want to address dying. Some even confuse acceptance of dying and a choice of palliative goals of care as suicide or euthanasia. Palliative care is a philosophy of care contradictory to assisted death because it neither hastens nor prolongs dying. It is provided in homes and communities, hospices and specialized palliative care units. Palliative care focuses on the dying person and their loved ones, supporting the fullest possible participation in the ‘last things’ of good-byes, apologies and reconciliation, and expressions of love and gratitude. It provides great satisfaction and comfort for loved ones after the death. All patients should be offered a palliative approach to serious, life-threatening and terminal disease at the time of diagnosis. This approach prevents the sharp distinction between treatment focused on cure and palliative care. 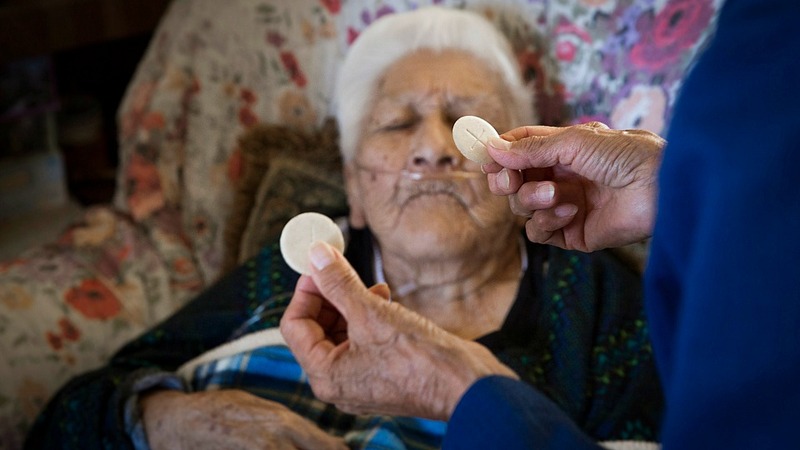 Persons of faith experience the same difficulties as others in acknowledging the limits of medicine. But we know acceptance of dying can initiate a precious time of grace, reconciliation and healing. 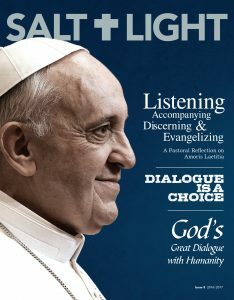 Pope Francis warns that in society dominated by individualism, rights and choice, we keep ourselves “from direct contact with the pain, the fears of others and the complexity of their personal experiences.” This is dramatically demonstrated in caring for seriously ill and dying patients and their loved ones. Promoting and supporting a good death compatible with respect for life and belief in the suffering, death and resurrection of Jesus Christ, requires that we show “the courage to swim against the tide” of assisted death. This requires that we understand the reason a person request assisted death: loss of independence; guilt at being a burden to others; loss of dignity; and fears of future care needs. These are issues of suffering, not inadequate control of pain or other physical symptoms. Individually, we need to respond compassionately in intimate conversations with persons about their suffering. As witnesses of Jesus we need to ‘walk the talk’ and develop a ‘language of mercy’ in new ways of support and accompaniment for those suffering in our midst. Sr. Nuala P. Kenny, SC is a paediatrician and physician ethicist. 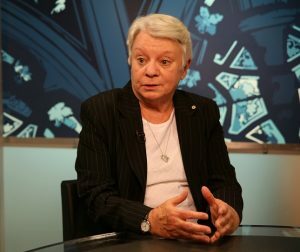 She is presently Emeritus Professor at Dalhousie University in Halifax, Nova Scotia, Canada, and Ethics and Health Policy Advisor to the Catholic Health Alliance of Canada. A member of the 1989-1990 St John’s, Newfoundland Archdiocesan Committee on Child Sexual Abuse and the 1990-1992 Canadian Conference of Bishops Ad Hoc Committee on Clergy Sexual Abuse, she returned to work on the clergy sexual abuse crisis in the Roman Catholic Church in 2010. Her research interests are in end of life ethics and the systemic and cultural issues underlying the clergy sexual abuse crisis. Sr. Nuala is deeply concerned with new law allowing euthanasia and doctor assisted death in Canada and is a great advocate for palliative care in Canada.